Make a splash at your next event with the all-time favorite attraction that entertains and soaks! 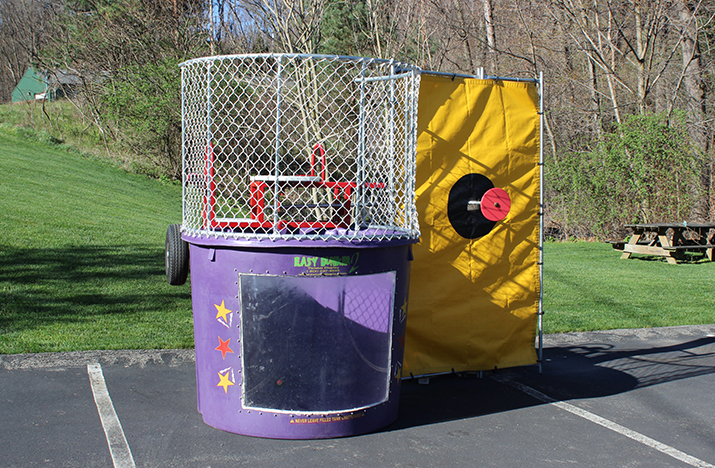 Dunk your boss, dunk your best friend, dunk your dad, dunk your principal...the list is endless. Throw the ball at the target and watch the wet fun through the glass window. Attendant provided with rental.